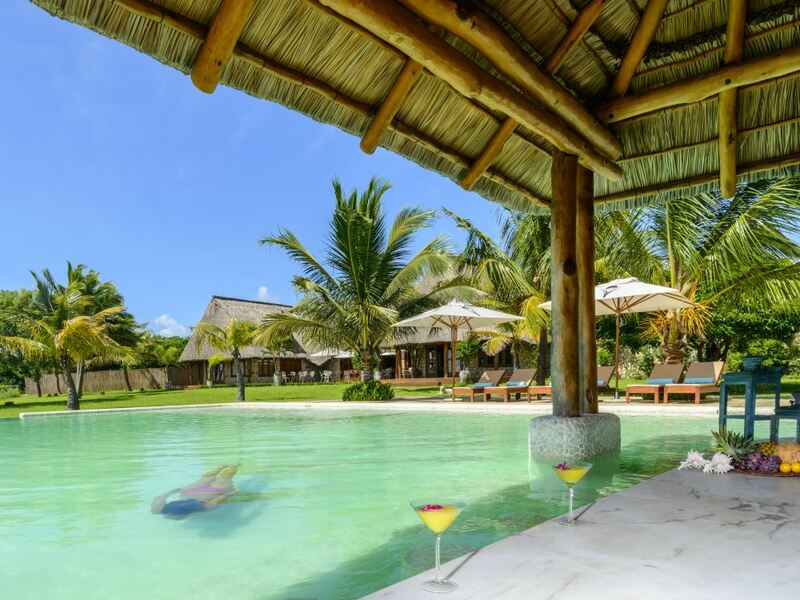 An exciting new 50-room luxury resort located overlooking the stunning Mecufi Bay about an hour's drive south of Pemba - it boasts clean, modern design style and luxury! 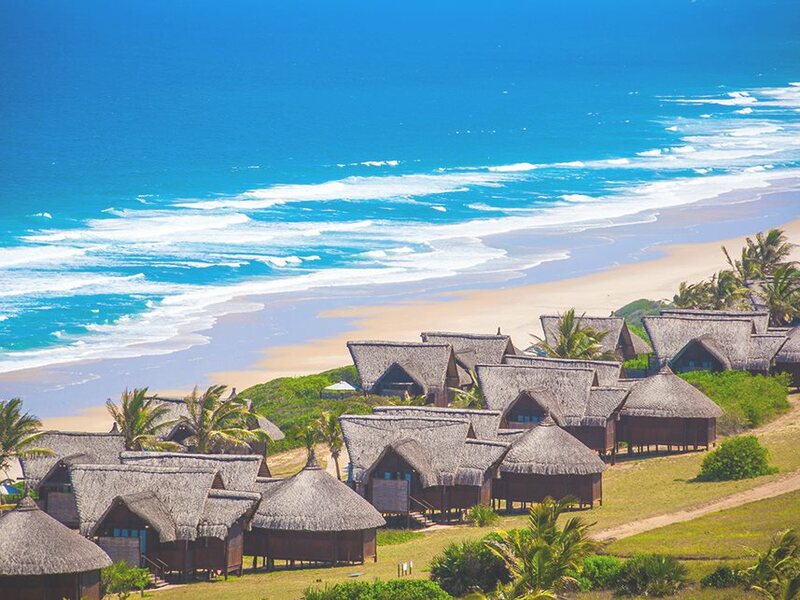 If you're looking for modern, contemporary decor and design, then this boutique resort in the far north of Mozambique could be just the ticket! Stunning views over the bay with its multitude of shades of blue water crisscrossed by the traditional dhows that still dominate the seas in this region - a truly timeless sight! A good array of activities to choose from - for something completely different, the sport of land-cart sailing is sure to get the heart beating a lot faster! you will doubtless spend many a restful afternoon at the outdoor swimming pool, no doubt with a refreshing cocktail from the poolside bar in hand as you contemplate which of the restaurants to eat at that night! After flying into the northern Mozambique town of Pemba (not to be confused with the unspoilt island just north of Zanzibar) an hour’s drive south through sleepy villages and farmland brings you to Diamonds Mequfi Beach Resort - the newest addition to the ranks of the luxury beach resorts in Mozambique. The 50-room resort enjoys a sublime setting overlooking the pristine sands and aquamarine waters of Mecufi Bay, where you’ll no doubt find yourself spending hours gazing at the dazzling Indian Ocean waters on which the timeless sails of traditional dhows trace mesmerising patterns. 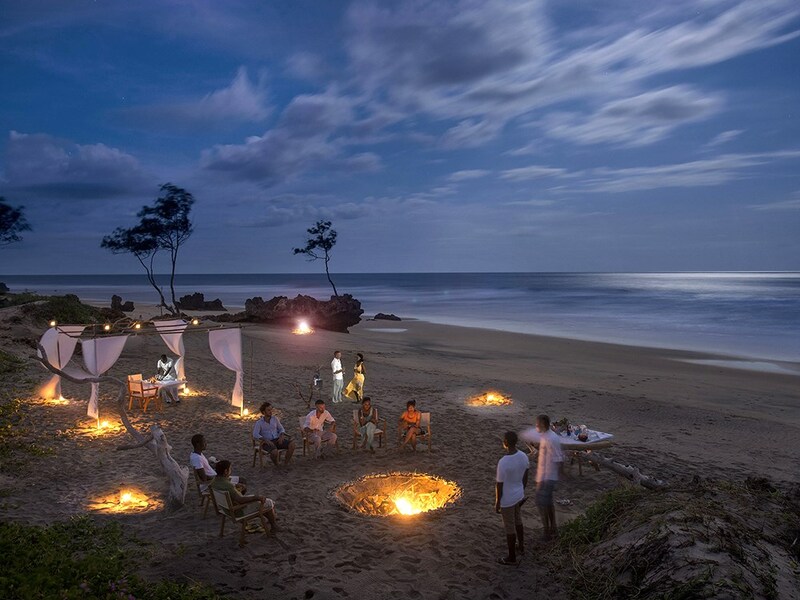 It’s an extremely remote and secluded place to find a modern 5 Star resort, but that’s exactly what Diamonds Mequfi Beach is. 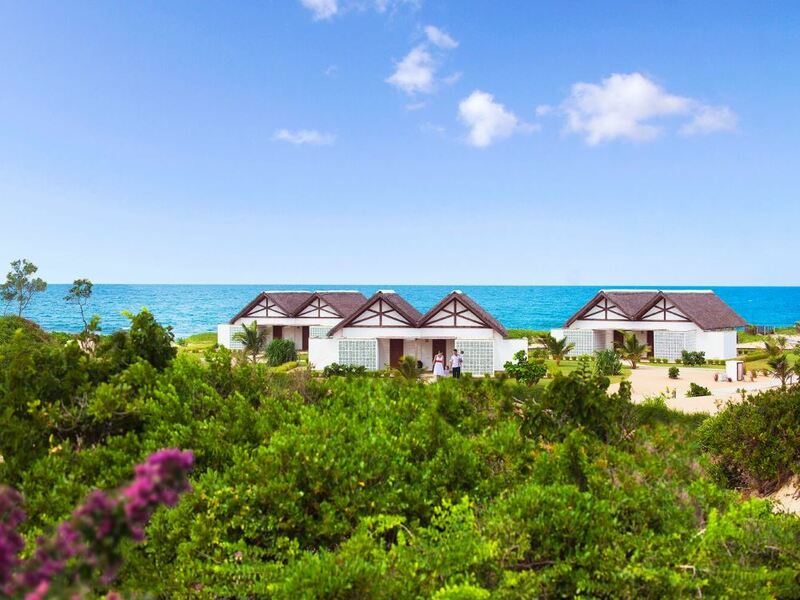 Each of the 50 rooms and suites, set in whitewashed beach bungalows, mixes locally-inspired décor with modern design elements and each boasts a large terrace overlooking the sea. The 40 Deluxe Rooms are set up as 20 blocks of 2 semi-detached rooms each and are located within easy walking distance of the beach. The 10 Suites are standalone units and quite a bit larger (boasting an additional separate living room) and also enjoy prime positions along the beachfront. Whichever room type you choose, the basic recipe is similar with unashamedly modern decor and contemporary clean cut design on an all-white colour palette softened with some local materials and furnishings – as you would expect of a modern 5 Star resort, mod-cons like air-conditioning and flat screen satellite TVs as well as wi-fi are standard. You will doubtless spend many a restful afternoon at the outdoor swimming pool, no doubt with a refreshing cocktail from the poolside bar in hand as you contemplate which of the restaurants to eat at that night! But there's plenty to do besides enjoying the fabulous beach or pool-side cocktail bar - windsurfing, kitesurfing, land-cart sailing (a real blast! ), horse-riding, stand-up paddle boarding, snorkelling, kayaking and catamaran trips are all on offer as well as the possibility of whale-watching in season. Excursions to nearby Mecufi village or Pemba town can also be organised. One thing to note is that scuba diving and deep sea fishing can only be arranged through operators based in Pemba town which would mean transferring there and back for the day. If that all sounds like a bit too much hard work, then head instead for a session of sustained pampering at the resort’s Mvua African Rain Spa which boasts an enticing array of massages and treatments. You have the choice between booking your stay on either a Half Board (breakfast and dinner) or All Inclusive basis (by far the preferred choice for South Africans!) As the sun sets, sip a delicious drink beneath the orange and pink-tinted evening skies at the Bela Baia Bar located near the swimming pool! As far as restaurants go, the main restaurant is the Assinatura which is set on an elevated deck with a spectacular view over the swimming pool. Then there’s the. Brisa do Mar serving snacks and freshly baked pizza by the pool. But for a special treat, why not head to the Sea You Restaurant (at an extra charge) with its seafood fusion menu. 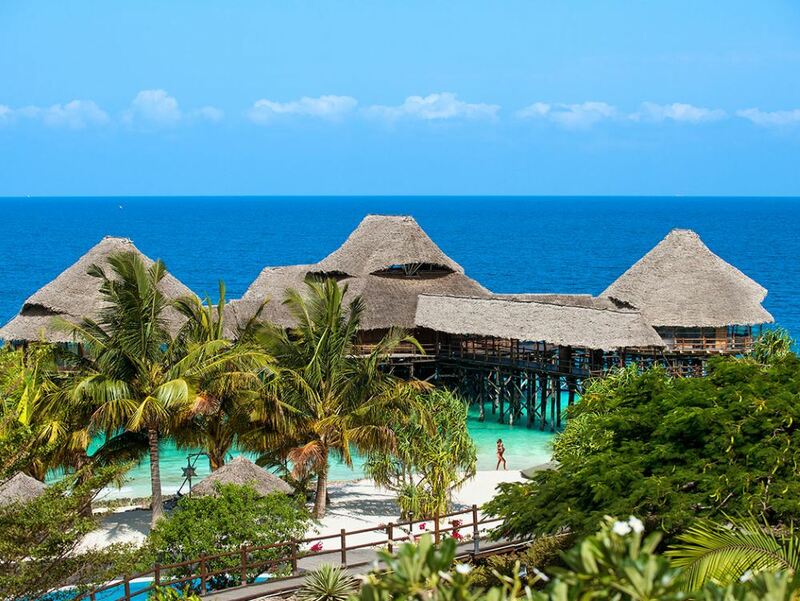 Arguably the best All-Inclusive resort on Zanzibar, a stylish 138 room property located on a stunning white sand beach in the north of the island - the huge swimming pool and gorgeous jetty are stand-out features!